Happy 25th Birthday, Nintendo Entertainment System! It's not just Super Mario Bros. turning 25 this year. Today, October 18, marks the 25th anniversary of the Nintendo Entertainment System going on sale in the United States. While a widespread release of the console wouldn't take place until 1986 (the same year it was released in Europe), it was in late 1985 at the FAO Schwarz in Manhattan, New York (as part of an advance market test) that the first of millions of the machines would pass over the counter of an American retailer. The first games available were, in hindsight, some of the strongest launch titles in console history, including classics like Excitebike, Ice Climber, Duck Hunt and Baseball. The first consoles, meanwhile, were built by nice ladies. Interestingly, according to 1UP, Nintendo's advertising boss at the time Gail Tilden reckons that first console was sold not to an American consumer, but to a representative of a "Japanese competitor". 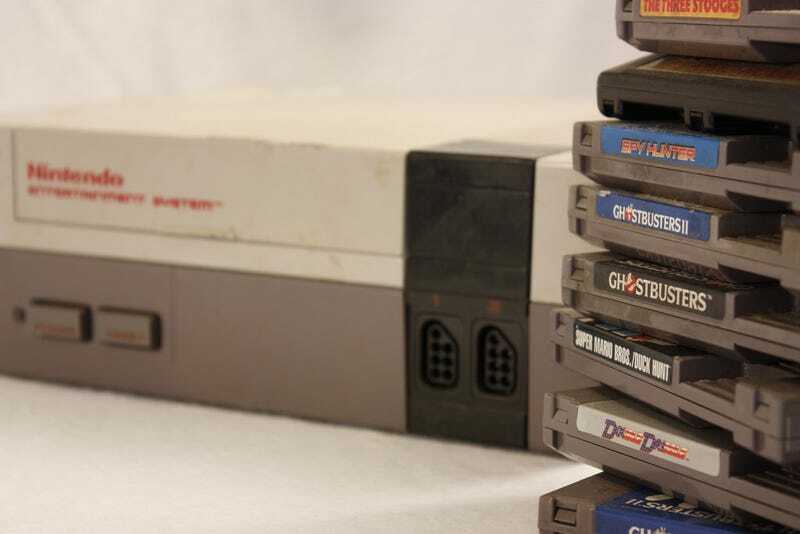 The venerable old machine lasted ten years on the US market, with Nintendo ceasing production of the NES in 1995. In that decade it gave birth to many of gaming's most cherished franchises and characters, from Super Mario Bros. to The Legend of Zelda to Metroid.